Well, the long months of wedding planning are just about over which means the honeymoon is also fast approaching. We have decided to go to Bora Bora for 10 days staying at the St. Regis. I've done a bit of research with respect to food and honestly, things don't look that promising. There's a Jean-Georges restaurant in our hotel, but beyond that I'm at a bit of a loss. Has anyone who's been provide any suggestions? 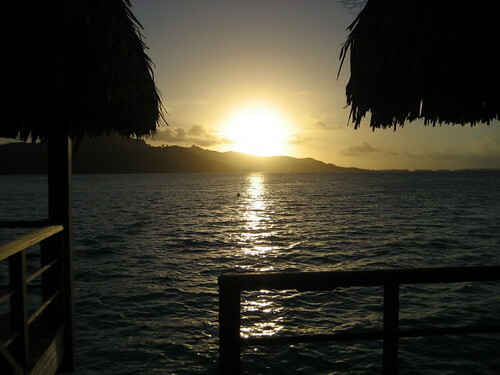 OK, so we just got back tonight and all I can say is that Bora Bora is just an amazing place. I'm going to work on a full post with pics that hopefully will be up sometime this weekend. 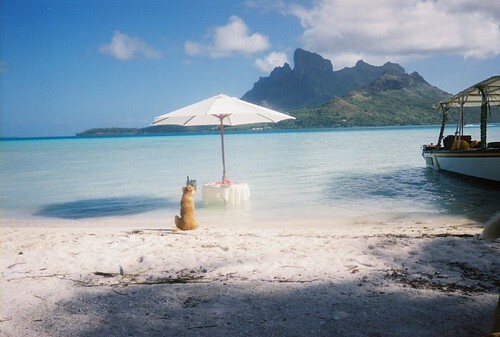 But until then, if any other LTH'ers out there are looking for a honeymoon spot, I can't recommend Bora Bora highly enough. It's uber-expensive, but well worth the splurge. Was it wonderful because of (in part) the food, or despite the food? The food was actually a little better than I was expecting. 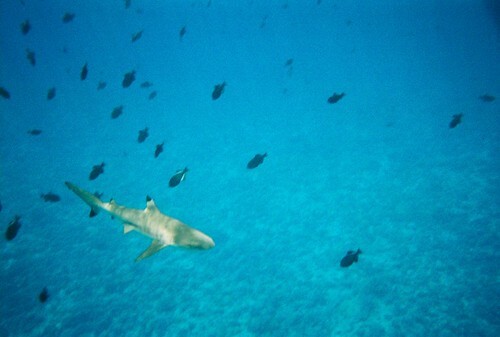 There isn't much of a local cuisine to speak of, since not a whole lot grows on or is raised on Bora Bora. 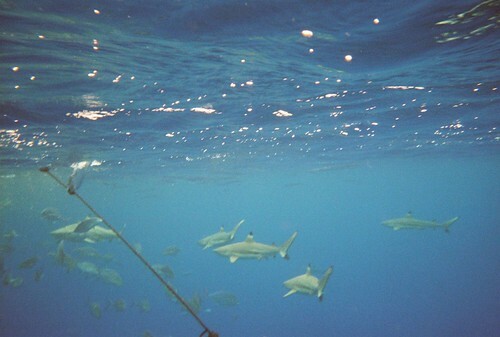 If you were to eat strictly local, you'd basically be eating coconut and mahi mahi all the time. What you see are a lot of French and Asian influences. 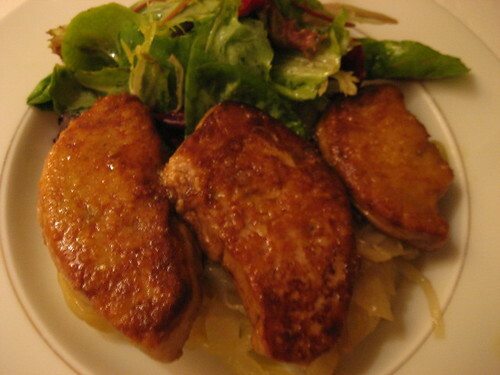 I've got a great foie gras shot that I'll be posting. One of the easiest choices the new wife and I made before our wedding was deciding where to go on our honeymoon. 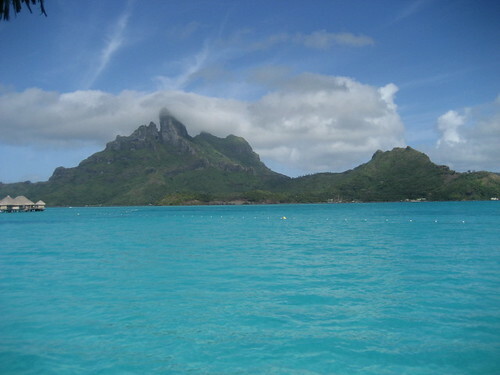 After reading a few articles, we knew that Bora Bora was perfect for us. 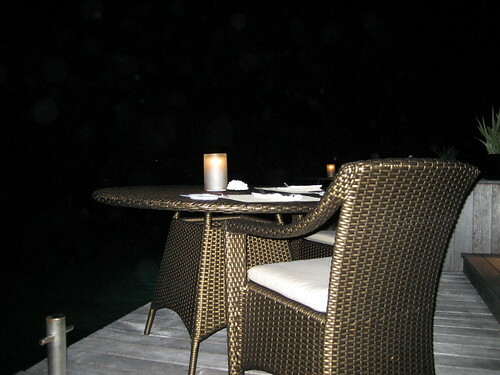 We don't like to do much while on vacation, really just sit by the pool/ocean and then go out for dinner at night. Bora Bora is one of the islands of French Polynesia, located pretty much in the middle of nowhere (2500 miles south of Hawaii, basically halfway between Australia and South America if that helps at all). Receiving no guidance here, and a pretty minimal amount from other online resources, our expectations were pretty low for food. 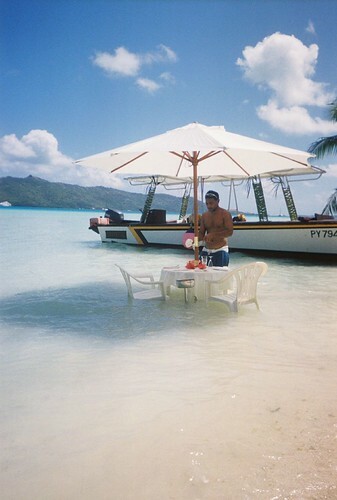 As I posted above, nothing really grows on Bora Bora that you can eat except for coconuts. They are just starting to farm papaya, cucumbers, and some other fruits. No farm animals are raised for food (most meats are flown in from New Zealand). Local fish, as far as I could tell, were mahi mahi and papio (kind of like snapper). We stayed at the St. Regis, which I can't recommend highly enough. Booking through AMEX Platinum we received free breakfast every morning which, given the prices on everything in Bora Bora, was a pretty valuable benefit. Breakfast was either room service to our terrace or a trip to the hotel restaurant for the buffet. For breakfast, I mainly stuck to fruit (pineapple and grapfruit) and the hotel's house-cured smoked salmon. Shockingly, this was probably the best smoked salmon I've ever had and I'd eat a huge pile of it every morning. 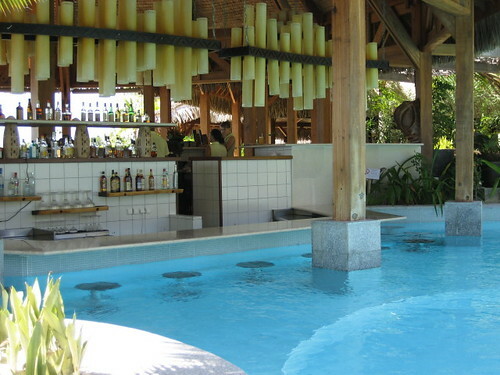 The hotel's swim-up bar. I think the swim-up bar is one of man's finest inventions. We would split lunch everyday since portions are huge. Lunch rotated between a pretty tasty cheeseburger, ham on a warm toasted buttered baguette, and a tuna tartine which was the best of the bunch. Strips of lightly seared ahi on focaccia with finely diced vegetables. Light and delicious. Sure, I've had better food, but the setting can't be beat. Jean-George's signature rice-cracker crusted tuna appears on the menu, as well as some more locally inspired dishes. My appetizer was a stand-out. Slices of raw marlin, in a thai-spiced broth with tapioca pearls and vegetables. Outstanding. 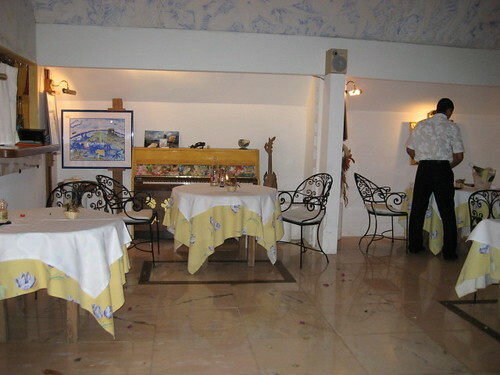 Our other stand-out dinner was at a tiny restaurant on the main island called Villa Mahana. The place is basically in the living room of a house and has only six tables. 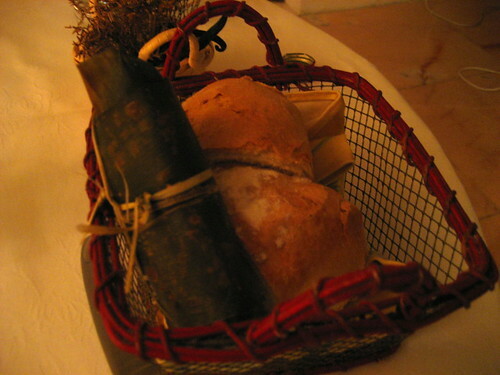 After serving the foie, our very French waiter returned to the table with a basket of bread, saying "Foie gras without bread is not foie gras"
It was a bit surreal having that kind of French moment in a place like Bora Bora, but hey, what can you do. My main course was a shrimp and lobster risotto that was good but not great. Dessert was a pretty solid chocolate souffle. Kind of like Lagoon, good food but better surroundings. ETA: This was my first time posting pics. What size should I be re-sizing to, because these look a bit small to me? Last edited by jesteinf on September 1st, 2007, 2:23 pm, edited 2 times in total. 600 pixels wide (so about 600x450), and congratulations! Thanks, I figured out what I was doing wrong. jesteinf wrote: I think the swim-up bar is one of man's finest inventions. Great googly moogly! I just looked up the prices on this hotel in hopes of planning a future winter vacation. Unfortunately, I think it'll be a while before I enjoy that pool bar. Ralph Wiggum wrote: Great googly moogly! I just looked up the prices on this hotel in hopes of planning a future winter vacation. Unfortunately, I think it'll be a while before I enjoy that pool bar. Yeah, it was pretty much the splurge to end all splurges. Honestly, this will probably be one of my most memorable meals. 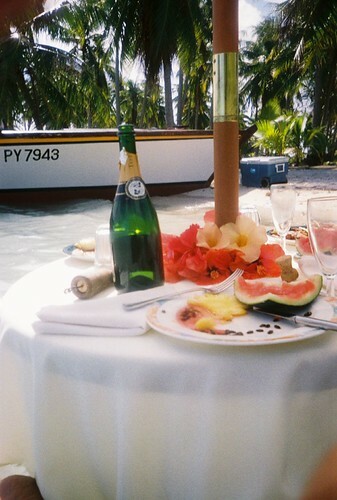 Fresh seafood, grilled and eaten right in the surf sitting in the sun, drinking ice cold champagne. It doesn't get much better than that. If anyone else is considering going, we have a bunch more pictures to share that are non-food related. If you're interested in seeing them, just PM me and I'll be happy to share.